Craft-Bamboo Racing will enter the Liqui-Moly Bathurst 12 Hour in February 2018 with an all Porsche factory driver line-up, consisting of superstar GT drivers, Earl Bamber, Kevin Estre and Laurens Vanthoor. This marks Craft-Bamboo’s first return to ‘The Mountain’ since scoring their hard fought third place outright podium in 2015. With Craft-Bamboo’s recent success in the Blancpain GT Series Asia, where they claimed Porsche Motorsport’s first victory in Asia’s ultimate GT competition, the trio of drivers are eager to kick off the team’s 2018 season with a win in the #991 Porsche 911 GT3 R.
Thanks to their history together in the IMSA WeatherTech Sports Car Championship and in the 2017 Bathurst 12 Hour, the three drivers will be well prepared to take on some of the biggest names in sportscar racing during the grueling 12 hour fight on ‘The Mountain’. Vanthoor is a Porsche factory driver with plenty of experience behind the wheel of the 911 GT3 R, running in a variety of sprint and endurance events throughout 2017. After contesting the FIA GT World Cup in Macau in November with Craft-Bamboo, the Belgian GT ace rejoins the team and is confident that he can achieve the so far elusive win. As a four-time Bathurst 12 Hour entrant who has claimed both pole position and a second-place podium, Vanthoor’s years of experience at the 6.2km circuit will be instrumental in helping the team fight for victory. “I am really looking forward to going to Bathurst, it is one of the more exciting events, especially in Australia, it is a big event and it is always very enjoyable to go there,” Vanthoor said. Earl Bamber from New Zealand is another Porsche specialist, taking the 2014 Porsche Supercup title and winning the Porsche Carrera Cup Asia twice. A two-time 24 Hours of Le Mans victor, Bamber is viewed as one of the quickest Porsche drivers on the planet. Combine that with two class wins at the Bathurst 12 Hour at the wheel of a Porsche 911 GT3 Cup, Bamber is ready to fight for his first outright win with the #991 Porsche 911 GT3 R at Mount Panorama. Kevin Estre rounds out Craft-Bamboo Racing’s triple threat line-up for their Bathurst attack. The Frenchman is a double Porsche Carrera Cup champion, taking both the French and German titles early on in his career before becoming an official Porsche factory driver in 2016. Thanks to two years of competition at Bathurst, Estre’s experience perfectly complements his teammates and he is eager to take his first step onto the podium at the famed Australian track. 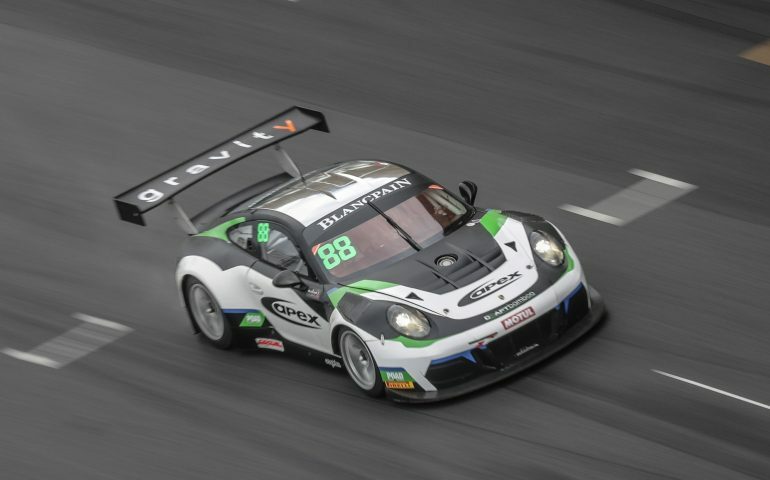 “I am really pleased to join Craft-Bamboo for Bathurst, they are a really experienced team, which has had great results in the past year with Porsche in Asia,” Estre said. Craft-Bamboo Racing had a thrilling race in 2015, leading several hours before a setback in the final two hours dropped the team down the order. A late fight back saw the team challenge for the win resulting in a P3 outright podium during their first attempt at the Bathurst 12 Hour. After two seasons competing with the Porsche 911 GT3 R, the team are well prepped for the event and further backed by an all-star factory line-up, the team’s sole intention is to kick off 2018 with triumph at Mount Panorama. “Craft-Bamboo Racing are really excited to be back at Bathurst this year,” said Darryl O’Young, Craft-Bamboo Racing Director and former Bathurst 12-hour winner.